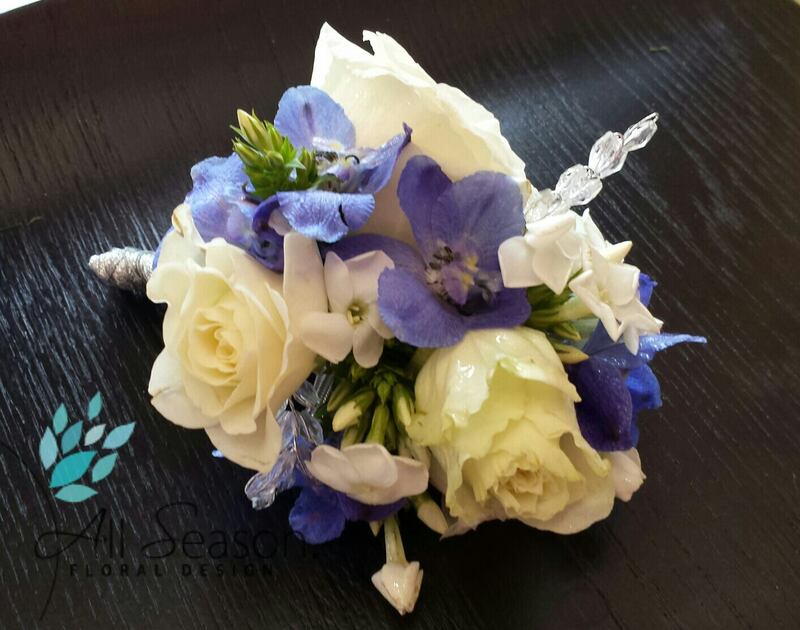 A blue delphinium & white spray rose corsage from our table. Your personality is sunny, sweet and endearing. White flowers like lily, lotus, cow parsley, white roses best suit your personality. Adding a tint of delphinium will appeal to the Cancer’s sensitivity and romanticism. Perfect bouquet for the #cancerbride. 21 Jul	This entry was published on July 21, 2014 at 8:44 pm. It’s filed under Uncategorized and tagged cancerbride, corsage, delphinium, flower, wedding. Bookmark the permalink. Follow any comments here with the RSS feed for this post.